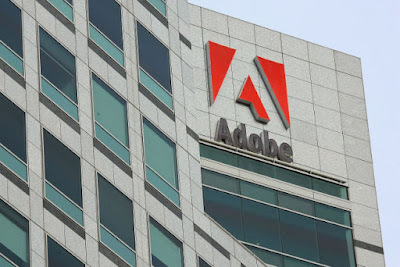 Taking aim at the inefficiencies that slow down the creation process, Adobe has launched major updates to its flagship Creative Cloud tools and services in India and around the world. The release includes dramatic new features in Adobe’s flagship applications, performance enhancements across Creative Cloud (CC), and exciting updates to Adobe Stock -- including deeper integration within CC and the addition of an all-new premium collection of high quality stock content. Spanning across virtually all of the Creative Cloud portfolio, updates in this new release target many of the pain points that designers, photographers and filmmakers face every day. Today‘s updates mark another step forward in establishing Creative Cloud as the one-stop shop for creative people -- providing the bestin desktop tools, mobile applications, training and a vibrant marketplace featuring services like Adobe Stock, as well as access to theBehance community that’s now over 7 million strong. “Digital Next realities continue to warrant creating and re-purposing of content, and Prime Focus Technologies has over the years emerged as an industry leading partner to content enterprises for delivering cutting edge technology solutions. Our recent launch at NAB 2016 was end-to-end business process orchestration for promo creation including automation of promo versioning using Adobe® Premiere® Pro CC. We look forward to leveraging the advancements, specifically the new Adobe Premiere Pro CC to deliver standout digital creative content for our customers.,” said Ramki Sankaranarayanan, Founder and CEO, Prime Focus Technologies. “In view of technological impact on socio-cultural environment, the delivery platform is as critical as the curriculum. It is absolutely necessary to ensure that the delivery model appeals to students. At Extramarks, we create learning solutions that comprise of a unique blend of text, images, audio and videos that engages learners and makes learning easy and effective leading to lifelong retention. Over the years, Adobe Creative Cloud products have been the backbone for our learning solutions and helped us curate modules to suit the evolving trends. We congratulate Adobe on the new features in Creative Cloud and look forward to exploring these innovations to further build on our brand.,” said Atul Kulshrestha, Founder, Chairman and Managing Director, Extramarks. · One-Click Workflow. Deeper Adobe Stock integration with CC applications enables a new One-Click Workflow that lets users select an image or video on the Adobe Stock website and place it on their creative canvas with a single click. Also an expanded In-app Purchase feature delivers an industry-first, one-click license capability, directly from Photoshop. · Premium Collection. Adobe’s first premium content offering sourced for Adobe Stock includes nearly 100,000 curated images that meet the standards of top advertising agencies, leading brands and digital and print publications. · Monetization Made Easier. Coming soon, Adobe will expand on its vision to build out the world’s largest creative marketplace by offering opportunities for creative professionals to contribute and monetize their work. They can contribute directly from desktop and mobile applications including Adobe Lightroom CC, Adobe Bridge CC, Photoshop Fix and Photoshop Mix, providing an easy on-ramp to showcasing and selling their work via Adobe Stock. Also coming soon is Adobe’s new Stock Contributor Portal, which will feature intelligent auto-tagging capabilities saving hours of keywording.